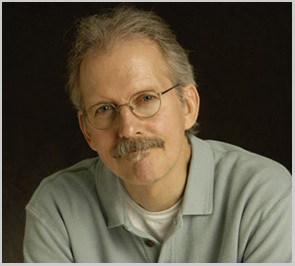 My post about Michael Franks was the last to use the SimpleTags plugin. Couldn't think of any other picture to put here! When I started using it for this blog back in 2006, WordPress didn't have native tagging abilities. The Ultimate Tag Warrior was the most popular third party plugin to provide them at the time as evidenced by the importer available for it in more recent WordPress versions. I chose not to use it because I've never been comfortable with plugins altering my blog's database. The solution I found at the time was Broobles' SimpleTags which allowed tags to be defined within the text of a blog post either inline or in a block. When the post was rendered the plugin would generate a nice list of Technorati tag links with the rel="tag" attribute so they'd be recognised as such. No muss, no fuss. ASIDE: All posts here that used SimpleTags have since been mass tagged with the simpletagged tag using WordPress’s tagging system. That’s right, I have an internal tag for posts that have been tagged in another system. I also had a grilled chicken sandwich for lunch, and I don’t hear anyone complaining. That was fun, I haven't done inline tags in a long time! Even though I've moved over, I can see situations where SimpleTags would still be preferable to using WordPress's tagging abilities. Unfortunately (in my opinion) WordPress handles tags very much like categories in your blog database, meaning if you don't want your tables to get ridiculously huge and therefore take longer to backup, you have to be more restrictive in your tagging. With SimpleTags you can tag a post with as many as you want; I remember on many posts I would include several different spellings of the same word, and with posts about software I'd include a generic name tag along with a more specific name and product version tag. So I did end up reviewing SimpleTags, it just took 4 years to do it ^_^.